You could make an apron for each Disney Princess! This one is Snow White. 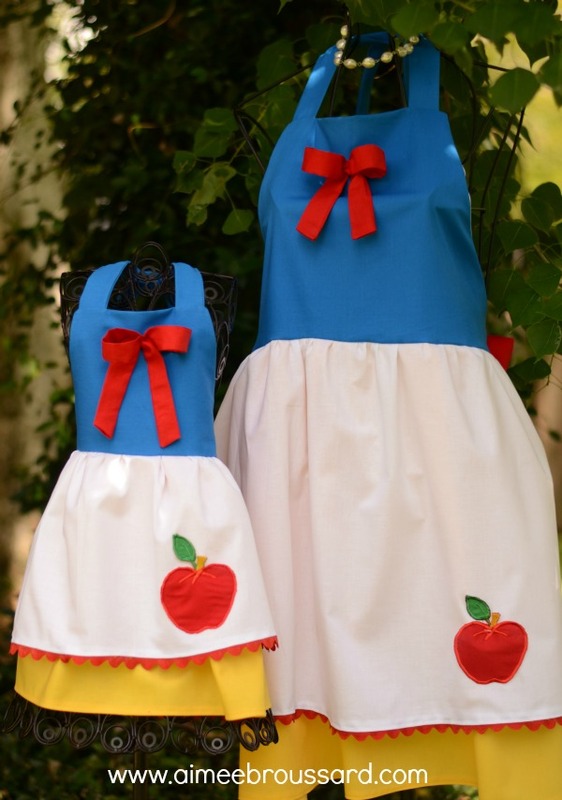 Just use a simple apron pattern and embellish to tailor the look for each character. Imagine all the little details you could add! Or, if you aren't good at sewing you can buy them via Aimee Broussard.